The desired tool change is not possible. The specified magazine location is either toolholder/spindle or empty. 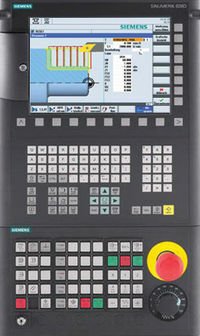 Only the numbers of the buffer that are not toolholder/spindle may be programmed with the NC command TCI, i.e. the location number of a gripper is allowed. • Check whether the magazine data ($TC_MPP1) have been defined correctly.